Canadian Robert Lloyd Schellenberg appears in court for a retrial of his drug smuggling case in Dalian. 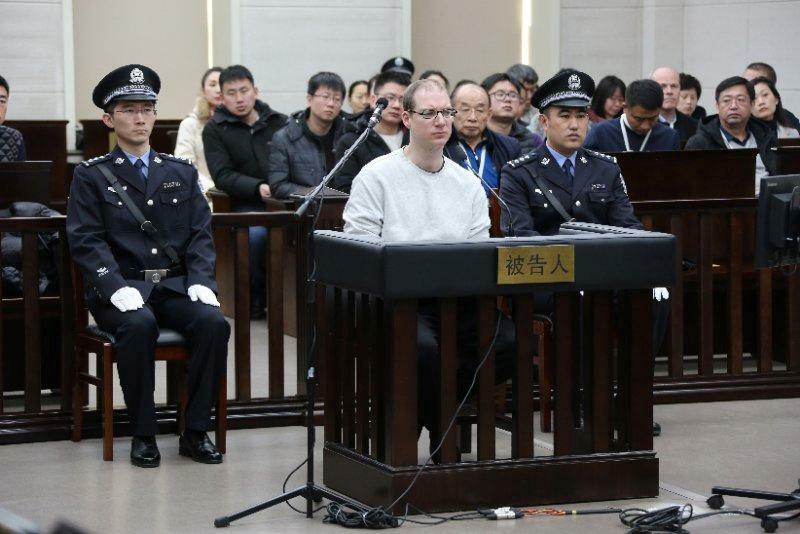 China said it was “not worried in the slightest” by mounting international concern over the death sentence handed to a Canadian for drug smuggling. “We’re very pleased to have this support from the EU which …, like Canada, believes in the rule of law,” she told reporters as Trudeau’s cabinet prepared to meet in Sherbrooke, Quebec. John McCallum, Canada’s ambassador to China, told reporters the standoff would not be settled quickly and vowed to enlist the help of foreign allies – especially the United States – and the business community.